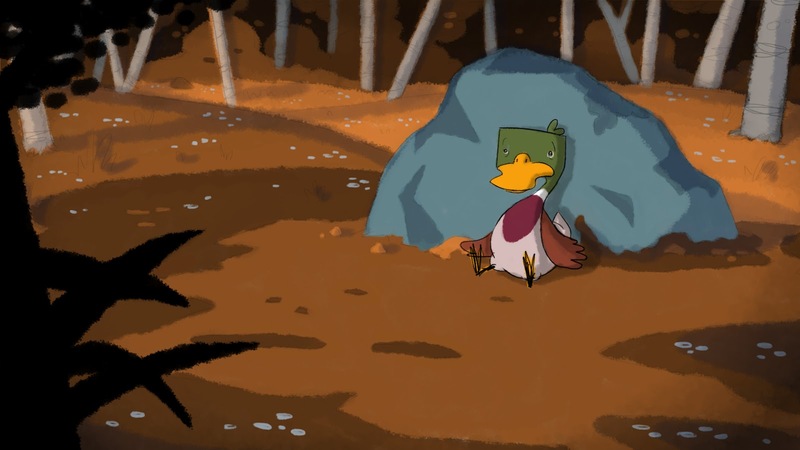 A short 2D animated film about a Duck who falls in love with a rock. Adapted from Ben Loory's whimsical short story "The Duck". 213 backers pledged $12,768 to help bring this project to life. "A duck fell in love with a rock. It was a large rock, about the size of a duck actually, that was situated off the bank of the river, a little past the old elm." 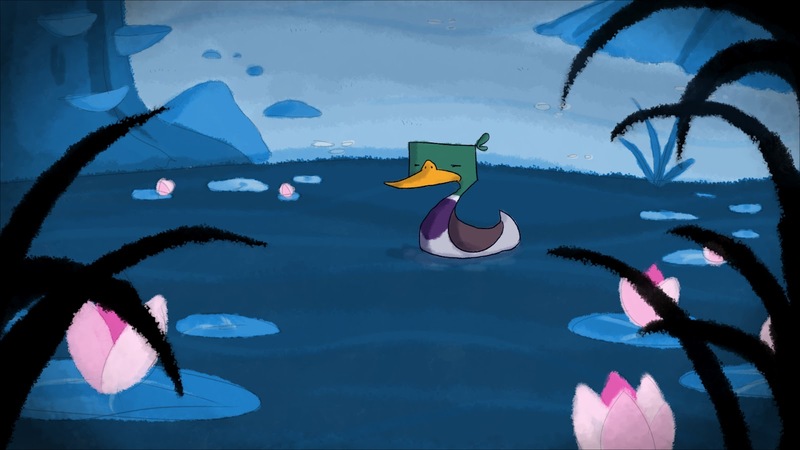 The Duck is a short 2D animated film about a Duck that falls in love with a rock. Stories for Nighttime and Some for the Day, which was published by Penguin in 2011. It was recently read on This American Life's Valentine's Day special, at which moment my brain began to spin in my skull as I was taken hold by a fantastic moment of creative clarity. This story had to be made, by me, urgently. You can hear it on This American Life here. $12k actually doesn't go that far when you need to pay each person who contributes to the production, like the sound engineer, voice actors and studio etc but they've kindly accepted to take the bare minimum to pay for their time only. As for me, the fee I'm taking will literally just cover my expenses so I can dedicate myself to this full time to get the project finished within the 9 month schedule. I've a lot to do personally and being the renegade lone wolf that I am I'll be doing everything that isn't sound related, such as concept art, storyboards, animatic(s), editing, backgrounds, roughs, cleans, colouring, compositing, tweaking and a whole lot of organisation. I'll also have to make some key software purchases, such as Photoshop and TVPaint. If I manage to go over my funding goal I can purchase those extra programs that will make production that much smoother, pay my composers and sound engineers more than the minimum and even bring on a producer to help with festival submissions, publicity and paper work. Boo paperwork! My animation style is what some refer to as Tradigital animation (I personally find the word awkward), which uses the same principles of "classical" 2D animation, but all digitally with a drawing tablet. In the commercial world 2D animation has become less common, being pushed aside for the more economical Cutout and 3D techniques. While I think those are wonderful mediums, I always feel they lose a little of the magic and expression that frame by frame animation achieves. There is a kind of magic in seeing drawings move, where each frame has life. This is the same magic we've all seen from the golden years of Disney. In smaller projects like mine and other short animated films we have the opportunity to recreate a little bit of that magic. The film itself will run for around 4-5 minutes which may seem short, but when you're dealing with 25 frames a second and generating all content from nothing by yourself, it can be quite an undertaking. Not that I'm complaining, the process is the best part! Watching the final film is like remembering a great dream, making the film is the great dream. I plan to work on the film 6 days a week and on the 7th day learn. Having just graduated from university I feel it is time to begin my real education, so I've started to build a small library of film, art, acting and animation books. I will then be blogging my discoveries and findings so others can breathe in some second hand learning. I will also be blogging the ups and downs of production. Access to The Duck finished film as a password protected Vimeo video. 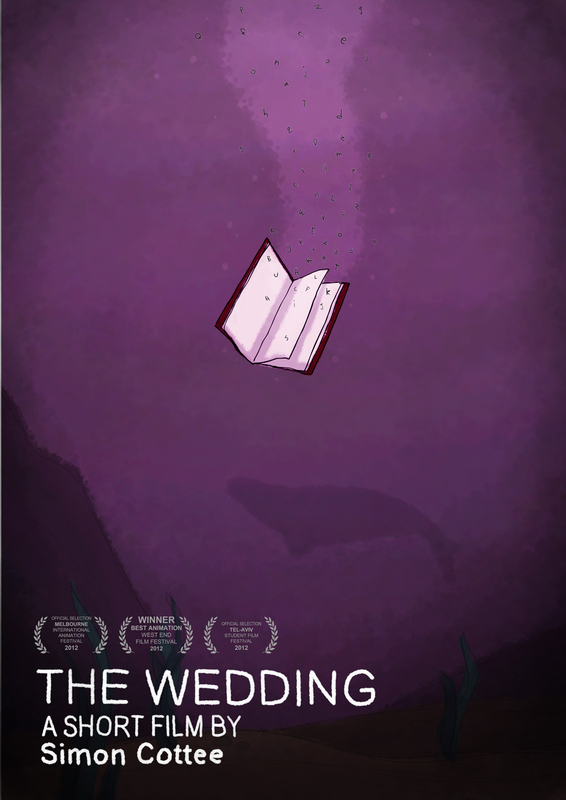 Access to The Duck and Simon's award winning graduate animation The Wedding as password protected Vimeo videos and a neat backers desktop background. 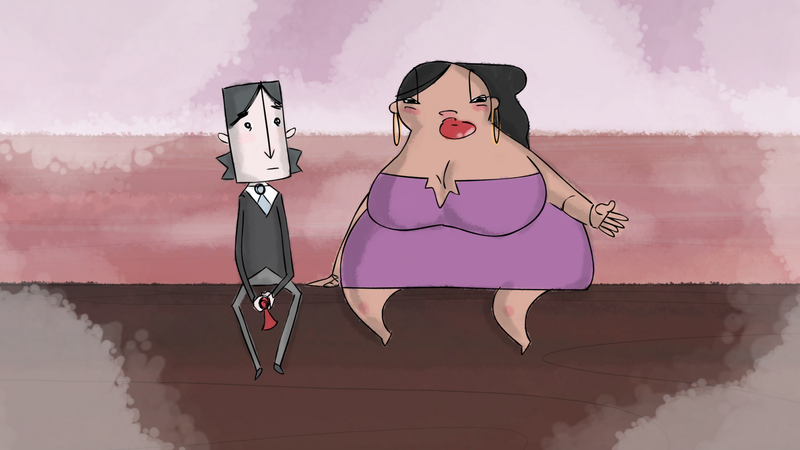 All previous reward tiers plus access to exclusive pre production materials, such as script, storyboards and animatic. All previous rewards plus a physical print from the finished film signed by myself and sent to you! Put it on your wall and make your house a home. All previous reward tiers and a personal sketch of you or a loved one as a duck. All previous rewards plus a physical printed copy of that Duck sketch of you or a loved one signed and sent to you. Put it on your mud banks and turn that pond into a really nice pond. All previous reward tiers plus your name in the films credits. All previous reward tiers plus a digital version of The Duck film with your head or a loved ones head tracked over the protagonist ducks head. And a signed copy of Ben Loory's book Stories for Nighttime and Some for the Day. INCLUDING a call from Ben himself to read some of it to you. All previous reward tiers plus your name in the credits as associate producer. All previous rewards plus if The Duck wins any awards or I am interviewed about it during its festival life I will name drop you and mention how beautiful or strong you are. Also after the films credits a photo of you will appear on screen with a love heart around it.